トップ > World > Day 82-84 Way to Peru. Can I fly?? Day 82-84 Way to Peru. Can I fly?? I was supposed to take the 9PM flight from LA, with Spirit Airlines. 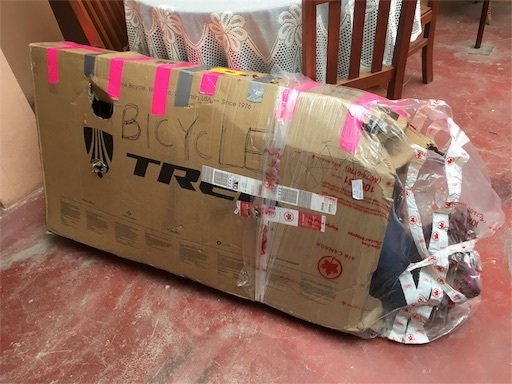 I called in advance to make sure they would take my bike, and they told me it would be ok if I box it and payed extra $75. But when I tried to check in, they didn't accept my bike. I was planning to fly from LA to Miami and from Miami to Lima, but they said that the aircraft from Miami to Lima is so small that they have very strict weight regulations. They didn't say anything about that when I asked, and I argued for a hour, but in vain. I decided to get a refund and find an alternative flight. If I were alone, I might have changed my schedule to bike down to Mexico. But I need to go to Cusco, because my friend is coming to join me all the way from Japan to hike Machu Picchu. It turned out to arrive in Peru one day later, and also double the price as I have planned. It's pretty much for a poor bike traveler after also loosing my camera. My flight was leaving at 11pm on the 7th, but I couldn't check in until 6pm. 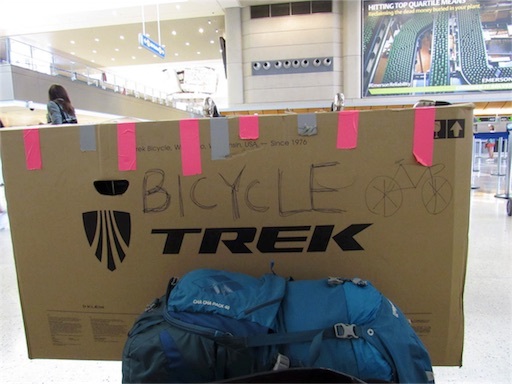 Bicycles are very big and hard to carry when it's in a box, so it's hard to move. That means that I have to stay in this airport with this massive luggage for 20 more hours. I was so tired so I went to the end of the airport to find a carpet place to take a nap. It's so noisy and uncomfortable that I could barely sleep. I was wondering through the airport, but it is hard to even go to the bathroom with all the luggage. A Japanese lady fortunately sat next to me, and she kindly gave me her sandwich and kept an eye on my luggage so I could go to the bathroom. 6pm at last, and I was able to check in my luggage. Thank you Air Canada!! 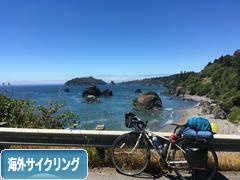 24時間に及ぶ拘束ののち、ようやく外へ。シャバの空気はうまいぜ。アメリカ最後の晩餐はここで。噂に違わず大変おいしくいただきました。I'm finally free after 24 hours. My last dinner in US is this. Yummmm!! I had 10 hours transit in Toronto, and 6 hours in Lima, and I finally arrived in Cusco on the morning of 9th. My bike box was beaten up... How could it be?